If you love food (and admit it, you know you do), the Capital One® SavorOne℠ Cash Rewards Credit Card is a card you could really sink your teeth into. This new card was designed with foodies and people with hefty grocery bills in mind. You earn 3 percent cash back on dining and entertainment purchases, 2 percent at grocery stores and 1 percent on all other purchases. As an added sweetener, there is no expiration on your rewards as long as your account is open and there's no limit on how much you can earn! The Capital One® SavorOne℠ Cash Rewards Credit Card even offers an appetizer in the form of a $150 cash-bank bonus when you spend just $500 in the first three months after you open your account. Anyone with children, in particular, knows how quickly you can spend $500 at grocery stores or on restaurant outings alone. If you love dining out or have a taste for gourmet foods, the cash-back rewards can add up in a hurry. If you like your rewards in the form of merchandise or travel miles, you may want to look at other card options; however, if you like cold, hard cash, this is a nice addition to your wallet. When it comes to redeeming your rewards, the Capital One® SavorOne℠ Cash Rewards Credit Card makes it mouthwateringly simple. There is no enrollment needed and no rotating categories to keep track of. Best of all, you can set your account so that you automatically redeem your cash reward once a year or when it hits a certain threshold (as low as $25). Or just redeem your rewards on a whim in any amount you’d like as a statement credit or check. The Capital One® SavorOne℠ Cash Rewards Credit Card has a $0 annual fee and 0 percent introductory APR for all purchases and balance transfers for the first 15 months (then, 16.24% - 26.24% (Variable)) Keep in mind there is a 3 percent fee on all balance transfers made during the promotional period. Not only is there no annual fee and no foreign transaction fees, but there is an introductory 0 percent interest rate on all purchases and balance transfers for the first 15 months (then, 16.24% - 26.24% (Variable)). The cash-back rewards can add up fairly quickly without too much effort. The rewards won't expire for the life of the account, and there is no cap on how much you can earn. You can earn a tasty $150 cash bonus after spending just $500 in the first three months after opening your account. This is an excellent no-annual-fee card for people whose spending is largely on food, whether dining out or shopping at grocery stores. If that isn't you, you'll want to search for a cash-back card with higher earn rates in other categories. The Capital One® SavorOne℠ Cash Rewards Credit Card rewards program is as user-friendly as any credit card rewards program on the market. You earn 3 percent cash back on dining and entertainment charges, 2 percent at grocery stores and 1 percent on all other purchases. No rotating categories. The reward redemption process is equally simple – just set your account to automatically redeem your reward annually. Or, if you prefer more frequent rewards, set your account to redeem the reward when the amount reaches a certain threshold, as low as $25. If you don’t set up an auto-redemption, you can just request your rewards as a statement credit or check at any time. In the rewards credit card world it's rare to find a card that offers bonus rewards on both dining AND grocery store purchases; it tends to be one or the other. The Capital One® SavorOne℠ Cash Rewards Credit Card checks both boxes, which definitely caught our attention. Who doesn't like easy money? The Capital One® SavorOne℠ Cash Rewards Credit Card one-time $150 cash bonus is remarkably easy to attain. Just use your card to pay for at least $500 in purchases in the first three months after you open your account. Remember that you'll also earn from 1-3 percent on your purchases getting you to that $500 threshold. While the Capital One® SavorOne℠ Cash Rewards Credit Card doesn't offer travel miles as a reward, it has plenty of attractive features for frequent travelers. There are no foreign transaction fees, so you are automatically saving the 2-3 percent charged by many other cash-back cards. The card also offers complimentary concierge service, roadside assistance, car rental insurance, extended warranty, price protection, ID theft services, contactless card technology and emergency card services. If you plan to dine out frequently during your vacation or business trip, the Capital One® SavorOne℠ Cash Rewards Credit Card becomes an essential item to pack. If you are a person who tends to carry a substantial balance on your card, remember that the APR will jump to 16.24% - 26.24% (Variable) after that 15-month 0 percent interest intro period; paying interest at that rate will dull the flavor of your cash-back rewards for sure. Additionally, if you like to accumulate miles for free travel or like to redeem your rewards for merchandise, the Capital One® SavorOne℠ Cash Rewards Credit Card is likely not the card for you. It's technically possible to redeem your rewards for things like gift cards, but it's really designed as a cash-back card and the value of redemption changes when you start looking at other redemption options. Lastly, if you tend to spend quite a lot dining out or at the grocery store, paying the annual fee for the Capital One® Savor® Cash Rewards Credit Card is probably worth it given that you’ll earn 4 percent back on your dining and entertainment purchases. The Blue Cash Everyday® Card from American Express (terms apply; See Rates and Fees) also offers $150 as an introductory bonus, but it comes in the form of a statement credit and you have to make $1,000 in qualifying purchases in the first three months, rather than $500 to earn the bonus with the Capital One® SavorOne℠ Cash Rewards Credit Card, in order to earn it. When it comes to grocery purchases, the Blue Cash Everyday® Card from American Express offers 3 percent cash back at U.S. supermarkets (up to $6,000 spent annually), compared to 2 percent for Capital One card; however, the Blue Cash Everyday® Card from American Express only offers 1 percent back on dining purchases, compared to 3 percent for the Capital One card. The Blue Cash Everyday® Card from American Express does offer you the chance to earn 2 percent back at U.S. gas stations and select U.S. department stores. While neither card charges an annual fee, you will pay 2.7 percent of every foreign transaction with the American Express card. Furthermore, you'll only earn bonus rewards (the 3 percent at supermarkets and 2 percent at gas stations and select department stores) on the American Express card for purchases made in the United States. The choice between these two likely comes down to how much you spend at restaurants and how often you travel abroad. Neither card charges an annual fee; but with the HSBC Cash Rewards Mastercard® credit card, you don't have a traditional bonus; instead, you'll earn 3% cash back on up to $10,000 spent during your first year as a cardholder, then 1.5% back (See Rates and Fees). Both cards offer a 0 percent introductory rate on purchases and balance transfers, but the HSBC card offers that for just 12 months before the rate goes to 15.24%, 19.24% or 25.24% Variable. The Capital One® SavorOne℠ Cash Rewards Credit Card gives 3 percent cash back on dining and entertainment purchases, 2 percent at grocery stores and 1 percent on all other purchases. The HSBC Cash Rewards Mastercard® credit card only offers 3% back on the first $10,000 spent during your first year before that rate drops to an ongoing 1.5 percent back on all your purchases. With the HSBC Cash Rewards Mastercard® credit card, however, the bonus rewards keep coming in that you'll earn a 10% loyalty bonus on your rewards each year after your account anniversary. While the Capital One® Savor® Cash Rewards Credit Card offers a straight cash-back rewards program, the Chase Sapphire Preferred® Card operates on the Chase Ultimate Rewards® system, an extremely popular and flexible rewards program – especially if travel rewards is what you're after. The Capital One® SavorOne℠ Cash Rewards Credit Card offers that 3 percent cash back on dining and entertainment purchases, 2 percent at grocery stores and 1 percent on all other purchases; whereas, the Chase Sapphire Preferred® Card offers two times the points on travel purchases and dining at restaurants worldwide as well as one point per $1 spent on all other purchases. At first glance it looks like a lower rewards possibility, but if you redeem your points for travel through Chase Ultimate Rewards® they're worth 25 percent more. 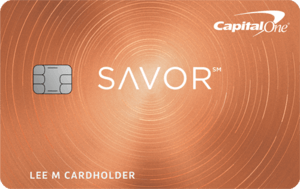 The Capital One® SavorOne℠ Cash Rewards Credit Card offers a $150 cash bonus after $500 in qualifying purchases within the first three months after opening your account. The Chase Sapphire Preferred® Card, however, offers 60,000 bonus points after you spend $4,000 on purchases in the first three months from account opening. That equals $750 toward travel when you redeem through Chase Ultimate Rewards® thanks to that 25 percent redemption bonus. 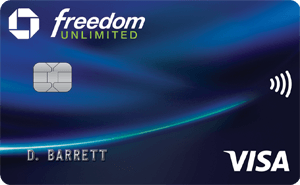 The Capital One card comes with no annual fee while the Chase Sapphire Preferred® Card charges $95 annually. Who Should Get the Capital One® SavorOne℠ Cash Rewards Credit Card? The Capital One® SavorOne℠ Cash Rewards Credit Card is designed for people who spend a good deal of money on food, either in dining out or at the grocery store. If you dine out frequently, have a big family or enjoy gourmet foods, this is the card for you. That said, if you’re someone who REALLY likes to dine out, you could likely offset the annual fee of the Capital One® Savor® Cash Rewards Credit Card pretty quickly and earn at a higher rate while you do it. But if you’re looking for a great no-annual-fee option and if you can see yourself spending at least $500 in the first three months, you can start to think about how you'd like to spend your one-time $150 cash bonus. The Capital One® SavorOne℠ Cash Rewards Credit Card is well suited for people who like their rewards programs to be as simple as possible. There is no enrollment process and no rotating categories or complicated redemption process. Just set your account to your desired redemption preferences and start earning your rewards with each purchase. To see the rates and fees of the Blue Cash Everyday® Card from American Express please visit the following link: See Rates and Fees.